Lawyer and mediator. John specializes in commercial and residential real estate matters; and professional malpractice, personal injury, employment disputes, probate and business disputes. John Edwards has been practicing law, primarily in civil litigation, since 1977. He began his mediation practice in 2002 and since then has successfully mediated hundreds of cases including commercial and residential real estate matters, professional malpractice, personal injury, employment disputes, probate and business disputes. 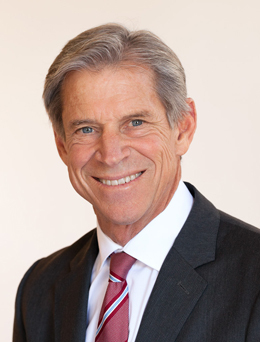 John is affiliated with West Coast Resolution Group in San Diego, California. He helps people resolve legal conflict with integrity, respect, confidence and hope. His passion and commitment help others avoid adversarial contests which can be very costly, inefficient, painful and hard for many people to survive. John’s experience, training and insight provide him with a foundation that enables him to successfully work with high conflict personalities and mediate cases in which emotions run high. John earned his J.D. from the University of San Diego Law School and received his mediation training at Harvard Law School. He received additional training in working with high conflict personalities with the High Conflict Institute. He subsequently began presenting with Bill Eddy at High Conflict Institute seminars and co-taught the Psychology of Conflict with Bill Eddy at the Strauss Institute at Pepperdine University where he is an adjunct professor. He frequently guest lectures at California Western Law School and Thomas Jefferson Law School. John also has taught both Introduction to Mediation training and Advanced Mediation training at the National Conflict Resolution Center and has participated as a panelist in numerous continuing legal education seminars.